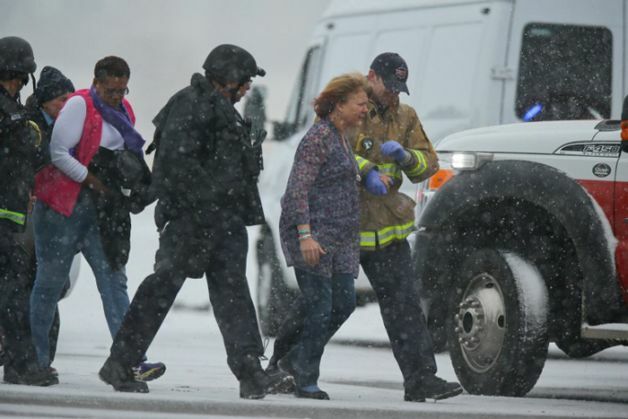 A gunman opened fire at a family planning center in Colorado on Friday 27 November, killing three people and injuring nine others. Identified as Robert Lewis Dear of North Carolina, the standoff between him and police officers went on for over five hours before he finally surrendered. Mayor John Suthers told reporters, "This is a terrible, terrible tragedy that occurred here in Colorado Springs today. Obviously, we lost two civilian victims, we mourn the loss of a very brave police officer." "The perpetrator is in custody. The situation has been resolved and there's no continuing peril to the citizens of Colorado Springs," he added. There were initial fears that the unidentified gunman might have explosives with him, and police carefully searched the scene of the unfortunate events after the siege came to an end. Speaking at the scene before the standoff ended, police spokeswoman Lieutenant Catherine Buckley said that the gunman was armed with some kind of "long weapon" with a shoulder stock such as a rifle. Eyewitnesses also reported hearing automatic fire. It is not immediately clear if the family planning center had been specifically targeted. The shooting could be in relation to the practice of abortion, opposed by many social conservatives, and one of the services provided for women by Planned Parenthood.